A selection of work regarding light and perception, following The Michael Snow Project, a large Toronto retrospective organized by the Art Gallery of Ontario and The Power Plant. This Vancouver project will include an exhibition of photo-based works and a Music room. Supported by the Canada Council and the Leon and Thea Koerner Foundation. October 29 | Walking tour of the exhibition conducted by Michael Snow, starting at 2:15pm, followed by a reception. 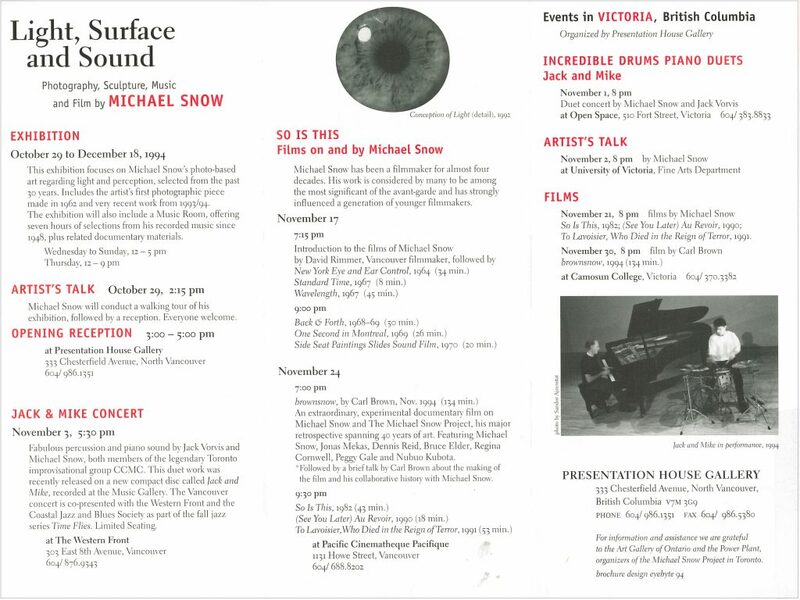 November 3 | Duet concert by Michael Snow on piano and Jack Vorvis, percussionist, co-sponsored with the Western Front and Coastal Jazz and Blues Society. At the Western Front, 303 East 8th Avenue, as part of the series Time Flies. 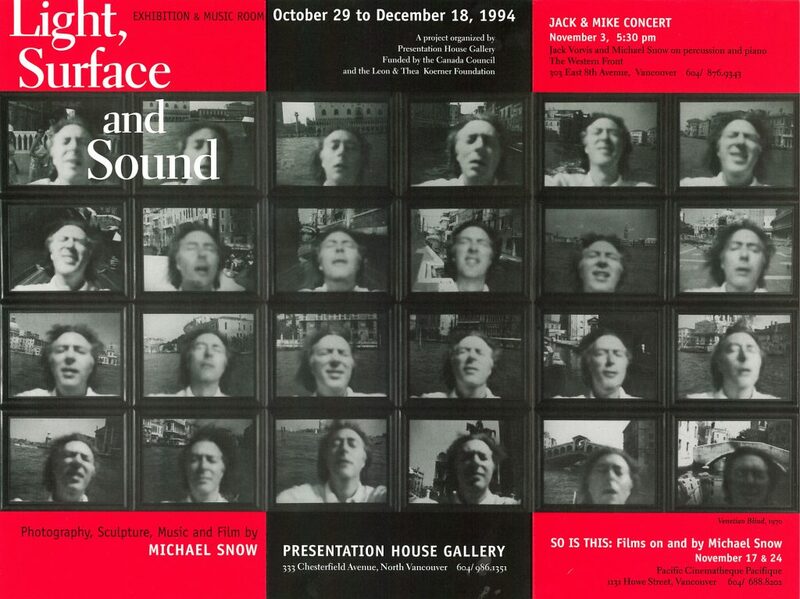 November 17 & 24 | Michael Snow films at Pacific Cinematheque.